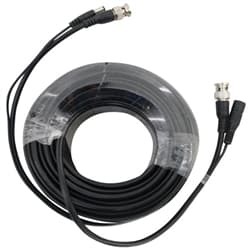 This page contains the bullet-style AHD cameras (HD over coax) that CCTV Camera Pros supplies. These security cameras support 1080p / 2 megapixel resolution. Some bullet housings are outdoor / weatherproof rated and others must only be used indoors. Not familiar with AHD technology? Learn more by this article: What is AHD? To record video from an AHD security camera, it must be connected to an compatible AHD DVR. We high recommend iDVR-PRO surveillance DVRs for use with these AHD cameras. Are you looking for a test monitor to use when installing your AHDcameras? Click here to learn about the MON-4HD AHD test monitor that we supply. This monitor allows you to connect the BNC video output of an AHD camera to a BNC input on the monitor to display the native video.